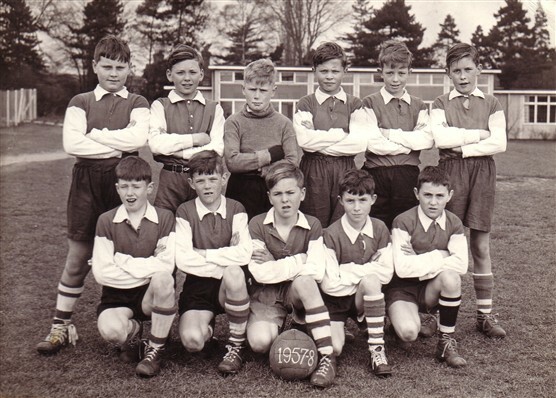 I seem to remember the 1957/8 season was a very succesful one for Morgan’s Walk School, with Mr Peck being the teacher come manager, and P Sullivan the top goal scorer. Pictured in the photo: back row left to right: M Foster, G Beetles (note the belt), L Foster, L Wilsher, G Bell, T Clark. Looking at the photo of the football team some of the names I seam to remember. I went to that school before they had the swimming pool there.